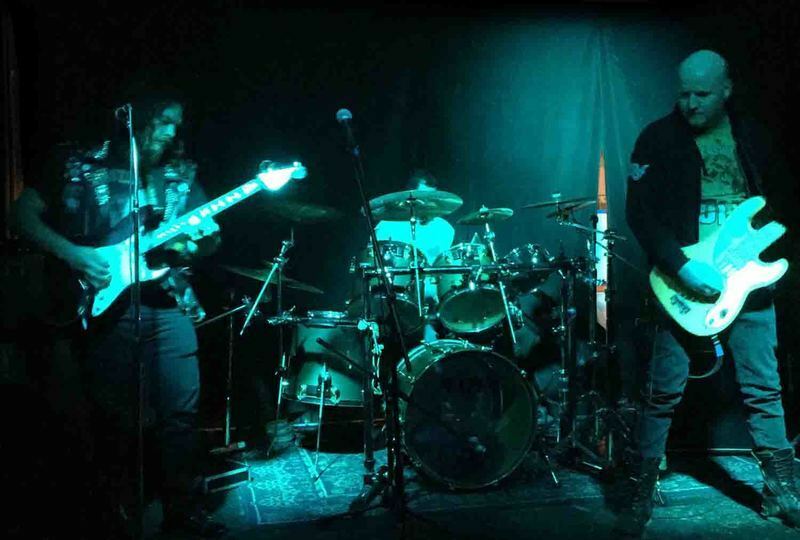 From a metal age undreamed of, comes forth LEGENDRY: an epic heavy metal band from the U.S. that carries on in the tradition of Manilla Road, Brocas Helm, and Cirith Ungol, with a nod to the 70s prog sounds of Uriah Heep and Jethro Tull. All lyrical subject matter involves the epic works of Robert E. Howard and original tales of weird fiction. Hear now the days of high adventure! 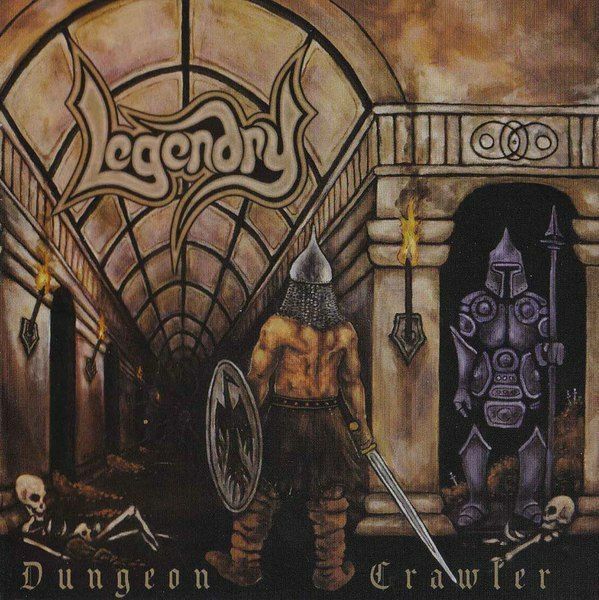 With a sound reminiscent of the earlier works of bands like URIAH HEEP, JETHRO TULL and CAN, LEGENDRY bursts forth with the fun and engaging album "Dungeon Crawler". This record gives new life to the music of the more progressive hard rock acts of the late 1960s to the early 1970s, bringing back a sound that never should have fizzled out in the first place. Full of fuzzy riffing, lead guitars teeming with wah and reverb, groovy drums, and that rich, soft SEALS AND CROFT vocal delivery that spreads itself over the music like a velvety cream cheese, "Dungeon Crawler" proves to be a fascinating and outrageous psychedelic journey for the ears and mind.As track one (the record's title track) begins, one is instantly transported into a magical realm of ancient mysticism, hidden tunnels dug deep beneath sprawling medieval castles, and mythical folklore brought to life. The lengthy song never loses its steam, its fast and seething beats driving it along at a breakneck speed. With a guitar solo that would make Jefferson Airplane proud, it breaks down towards the end into a doomy, atmospheric trip that leaves the listener smiling and silently begging for more.Track two, "Quest For Glory", is a masterpiece of progressive psychedelia exploding with distorted bass and guitars, and so full of thick, rich sound that it is nearly overwhelming in its scope. It is one of two shorter songs that still do not fail to please. 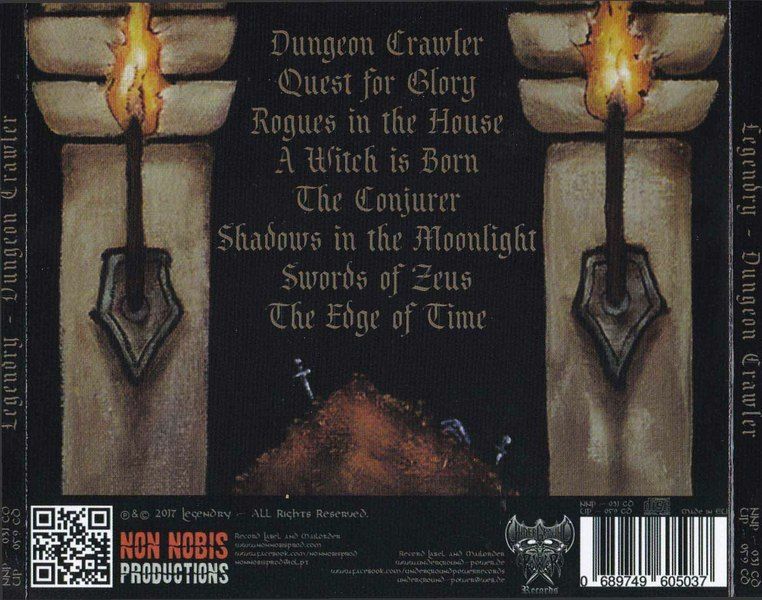 The third track, also shorter in length, is called "Rogues In The House", and tells a story of deceit and treachery within an ancient order of priests. It's the perfect soundtrack for a cold night alone at home with your favorite mead in hand and a fire set to blazing.The album rolls along, influences being heard all across the board from bands such as RAINBOW, BLACK SABBATH, FIFTY FOOT HORSE, and even later BEALTES efforts. The lyrics continue on the themes of Pagan folk tales and mysteries buried deep within hidden catacombs, telling such vivid and eloquent stories that one almost feels as if they're there witnessing it all go down. It becomes apparent rather quickly that LEGENDRY is yet another one of those special acts who have carved a niche that only they can fill. Although their sound can be easily compared to so many bands of old, it still retains a sense of originality and inventiveness that is impossible to discount. "Dungeon Crawler" reaches its close with the fantastic psychedelic ballad "The Edge Of Time", echoing (but not mirroring) the works of artists such as THE FLAMING LIPS and WEEN. 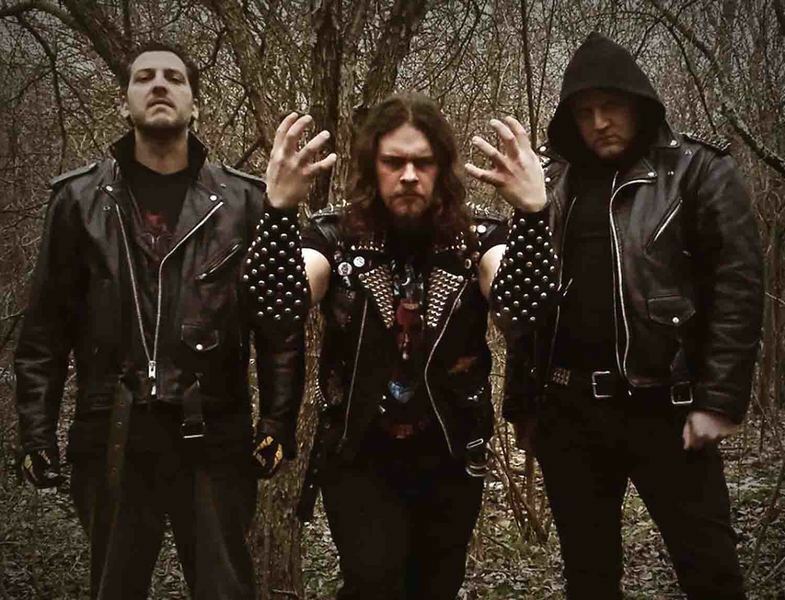 Dark lyricism penetrates the mind amidst roaring guitars and cymbal-showered drums that all seem to crash to the ground like some sort of crystal rain, shattering upon its slow motion impact and covering the floor in a diamond-esque glow. The lead guitar sings like a maiden forlorn, its voice full of tears and longing. The finish is akin to closing an old, dusty, leather-bound trove of adventure, the tales upon its pages still vibrant and very much alive within the reader's mind. One can only hope that there is much more from LEGENDRY in the times to come, for this is a story that is far from over, in my humble opinion. A pitch-perfect record!